The Satcha’s comm crackled and buzzed to life with an eruption of static interspersed with unintelligible vocals. Kore immediately began to adjust the comm unit without much success. Anya released her harness and stepped up in between the pilot and co-pilot seats and took over the comm controls from Kore. Anya adjusted the controls to a secret emergency channel. The static immediately disappeared. Anya immediately flipped a switch to open the comm channel. “K2 to K1,” she excitedly replied. There was a pause on the other end. “Anya,” came Prince Yuri’s voice through the comm. “Anya, where are you,” Yuri’s voice crackled through the comm. “Where are you, can you send me your location,” Yuri asked. “Can he hear me,” Anya asked in frustration. She adjusted the comm. “I hear you, but you’re drifting in and out,” Yuri said. “We’re being attacked,” Anya yelled. Suddenly the transmission cleared up. “Where are you,” came Yuri’s clear voice and concern. “Your sister is dead,” Yuri said. Anya paused for a moment. “I know father,” she uttered, trying to restrain herself. “That monster killed her,” Yuri said. After a moment of silence on the other end, Yuri tried to speak but was unable. “Do you have a plan,” Yuri asked. “Are you trying to reach the Chakata entrance,” Yuri asked. Jasen reduced the speed of the Satcha just before entering the Ugot tunnel. “I love you my dear,” Yuri replied through the increasing static. “Take care of mother,” she called. Yuri’s response wasn’t heard as the comm’s connection was lost. General Bothan Khan and his Imperial Shock troops tracked a set of bloody footprints that led to an access shaft. Traces of blood was found on a few rungs of the shaft’s access ladder. Bothan directed several of his troops to ascend the ladder after which he went up followed by his remaining troops. The heavily armed and armored group labored up the long shaft for some time, resting occasionally. The shaft led up to a small isolated outpost station on top of Mount Thaingor. The outpost station seemed to be unoccupied but as they made their way through, they discovered the bodies of two dead soldiers. Bothan examined the bodies while signaling for his troops to proceed. 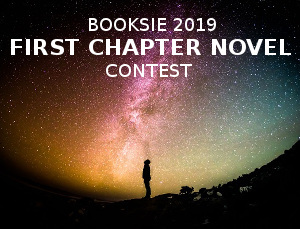 As one of the Shock Troops opened the door of the outpost station to exit the small structure, Teric, who had been resting near a rock formation on the surface, quickly spun around surprised by the discovery, he quickly drew his sword. As the troops exited the outpost station and discovered Teric, they immediately took up defensive positions around the outpost station. Teric began moving away from the rock formation, advancing toward the troops. Bothan then exited the outpost structure causing Teric to halt. The remainder of Bothan’s troops emerged and took up positions behind their commander. Bothan did not move, curiously observing the swordsman before him. Was this the man, he wondered? Was this the man who soundly defeated two of his best and personally trained Kausack warriors, and more than several dozen Imperial shock troops. It seemed impossible. Bothan had imagined a tall muscled warrior. But the man standing before him seemed ordinary. Bothan focused on the sword the man was brandishing. He remembered the reports about the sword and he peered at it with great wonder. Still it seemed inconceivable to him that this one man with a sword could cause such havoc. Shock troops were the elite of the elite. They were the Emperor’s personal army and they were battle hardened veterans of many wars. The Kausacks were the fiercest fighters he had ever encountered and his personally trained mentees had never lost a fight. The power and skill of this young man with a sword must be great and formidable. However, it did not instill any sense of fear within Bothan, instead Bothan was eager and anxious for a chance to challenge this skilled warrior as a test to his own metal. He rose a hand to signal to his troops to remain in place. Then he took a slow step forward. As Bothan observed the man, for the first time he took note of the man’s garb. The man wore the attire of an ancient warrior of his home world and although there were some differences, the resemblance was unmistakable. If this man had been trained in the Messic arts, it would soon become apparent. Bothan quieted his mind on that inquiry, for that way had long been lost. He was the last of that kind. Bothan began to focus intently on the swordsman, and on a strategy to defeat him. Teric noted without diverting his focus from the Mesic, six shock troops crouched in various positions around the outpost structure with their weapons trained on him. Teric did not flinch. Although outwardly he may have appeared formidable, inside Teric felt intensely weak. The strength, the surge he had called upon over and over within his body was depleted. He had been resting against the rock formation as he no longer had even the strength to stand. Doubt entered his mind on whether he had anything left for the battle that was sure to come. Even the sword that usually felt light in his hands, felt increasingly heavy. Teric tried to dismiss his weakening thoughts, he tried to summon everything he had left, for he could not show weakness. Weakness meant death for him. Seeing the man up close confirmed Teric’s suspicions about him. He was dressed in the attire of a Messic, a master assassin of the Khannakhans. Teric had studied the ways of the Messics for a long time, they were part of his heritage. As a child, he was raised among the Khanakhans of Kessel, raised to be a terrorist. The Khanakhans tried to revived the ancient Messic arts and Teric was immersed in that world, he was immersed in the Messic sword fighting style of the Ankh Kudo. But even after he was rescued by his father’s friend and deprogrammed, what he had learned from the Messic arts propelled him to greatness among the Legion Knights of the Realm. He watched the Messic’s every move and more importantly he watched for his non-movements. His stance, his balance, his posture, his form and his ability to hold them. For in them, he might discover a weakness that he might exploit. Teric recalled the years of excruciating and punishing instruction among the Khannakhans, instructions to awaken the weaknesses in, ‘the walking dead,’ as any true Messic would regard his opponent. With the Ankh Kudo or the One Strike, any discovered weakness however minor, could quickly lead to death. Bothan drew his sword and began to approach Teric in the Mesic way. He raised his sword high above his head and brought the blade down swiftly while stepping forward with his left foot and leaning into his strike. The Asat, gave an opponent an opportunity to gage the skill of his opponent. A flawless Asat would declare the superiority of the performer’s skill giving his opponent the option to submit, rather than engaging in the duel against a superior. The Mesic’s Asat spoke volumes to Teric. The man was indeed formidable and by taking the Asat first, the Messic Lord was declaring his superiority over Teric, demanding that he stand down as an inferior. Teric cursed his mental lapse in allowing his foe to take the first Asat. Now his Asat must be strong and perfect, but Teric lacked the strength and confidence to master it. Instead Teric disengaged and returned his sword to its scabbard, which, would be regarded as an insult. Instead of performing his own Asat, challenging his opponent or bowing in submission, Teric disengaged, declaring his opponent unworthy of the effort. Bothan smiled sinisterly. There would be no mercy for this walking dead, he seethed in his mind. He repeated the Asat a second time with more intensity leaping forward into his strike. Teric immediately drew his sword anticipating an unconventional attack from the Mesic. Teric performed the Asat twice in quick succession lunging into each strike and returning his sword to an overhead position. Both men remained in that position, observing and accepting the challenge of the duel. The pursuing Gnat fighters were gaining on the Satcha since it had to reduce its speed when entering the Ugot tunnel. The Gnats began spitting out a barrage of laser fire even though the Satcha was still out of range. Jasen had to reduce the ship’s speed even further to avoid the many protruding obstacles within the tunnel. He was finding the Ugot more challenging than the previous tunnel. He had to make tight turns, right and left, dives and upward surges as he piloted the Satcha through the Ugot’s crude and narrow crevasses, trying to make themselves a difficult targeting problem for their attackers. At times he had open spaces and then he pushed the engines hard, putting distance between them and the Gnats. But it wasn't long before the first bolt hit the ship, being deflected by the aft shields. Oncoming traffic in the tunnel made navigation of the Satcha even more difficult. They could hear explosions all around them as some of those vessels were hit by lasers from the gnat fighters or they crashed, trying to avoid the attacking fighters. There were also areas in the tunnel that had no lighting. Only the Satcha illuminated their path, and these were particularly dangerous with oncoming traffic. “Hold on everyone,” Jasen shouted as he suddenly pushed hard on the engines and steering yoke. Before his words registered, the Satcha dived hard while accelerating as everyone was thrown against their harnesses. The ship and engines whined in protest of the sudden and hard action. The ship began to vibrate violently. And then they were suddenly jolted again by enemy fire. Kore gripped his chair hard to prevent himself from falling out of his chair and onto the console. From the corner of his eye, Kore saw a Gnat fighter just outside the view port on the starboard side. Another blow rocked the ship. The Satcha pitched about, nearly cork screwing under the barrage. Lights began blinking all over the console as Jasen fought to stabilize the ship. “Are we going down,” Anya shrieked. “Not if I can help it,” Jasen reassured. Kore was still having a hard time resolving the warning indicators on the console. Anya released her harness and with much effort she stepped up to the console to assist. “What are you doing,” Kore asked, surprised by her presence. “We need to fix this,” she replied as she grabbed the back of Kore’s chair to keep from falling over. With Anya’s help, they made quick work at resolving all the alerts. Jasen was also able to stabilize the Satcha, but still he knew that they were not out of danger. The Satcha’s shields were low all around the ship and they have been receiving constant heavy fire from the pursuing Gnat fighters. Jasen knew that he had to be more daring in his piloting to give them enough of a chance to survive. Looking ahead, he spied a narrow chasm and decided on the spot to navigate the chasm for cover. He set the engines to full and made for the chasm. The sudden maneuver jostled everyone, sending Anya backward with a scream. Wilhelm quickly released his harness just in time to catch her, both of them falling to the ground. “What are you doing,” Kore asked as the Satcha made for the narrow chasm. “Just hold on,” Jasen shouted. From the floor, Wilhelm helped Anya to her feet. He then with great effort helped her to her seat and strapped her in her harness. After falling a couple of times Wilhelm made it back to his own seat. The Satcha soared through the narrowing chasm, turning sideways through a rocky walled trench. The Gnats followed the Satcha into the chasm grazing repeatedly against the chasm wall. Bouncing off the wall one of the Gnat collided with another fighter, both crashing in a fireball, engulfing another Gnat which crashed into the trench wall. As the chasm narrowed it occurred to Jasen that he had not thought of a way to extract the vertically racing ship from the narrowing chasm. Jasen shifted hard left while dipping the nose of the ship in an attempt to exit the trench as the end of the chasm drew near. Just as the Satcha exited the trench, avoiding a terrible crash, the ship exited the Ugot Tunnel and entered into the Ugot Cavern. In the open space the Satcha raced ahead, adding distance between itself and the pursuing Gnat fighters. Teric began to slowly step back and away from the rock formation that was his support. Bothan watched in wonder as Teric retreated. He knew that the young man was not trying to escape or run away in weakness, for he sensed the determination in the young man’s eyes, the strength in his resolve. Teric stepped back into a wide clearing and then he halted. Bothan raised a hand to signal for his troops to remain in their positions and then he proceeded forward past the rock formation and stepped into the same wide clearing opposite to Teric’s position. He halted some distance away from the young swordsman. Without breaking his focus, Teric removed the scabbard from his back and placed it on his left, securing it around his waist. He then placed his left hand securely on the scabbard just under his sword’s cross guard while his opened right hand dangled at his side. Bothan followed in kind, removing the scabbard from his back, securing it on his left, placing his left hand on the scabbard under the guard, all of this without breaking his gaze upon the swordsman. And thus, began, the Azazi, the dance of the Messic. In the ceremonial rites of passage, in a confrontation between Messic warriors, the goal is victory without the sword. If through a series of techniques, the weaknesses of one of the combatants might be exposed before swords are raised in engagement, the stronger warrior may grant retreat to his opponent, only after his capitulation. Messic techniques may be modeled by one and mirrored by the other, so that through this dance, a weakness in form or technique is assessed by the combatants leading to a calculated strategy to achieve the Ankh Kudo. If a weakness is not found by either the Asat, or the Azazi, or if neither combatant capitulates, then, the engagement begins. An attack stance is initiated by one, and a counter stance taken by the other, as each of them wait for a weakness, that will lead to the Ankh Kudo, in ceremony. In reality, never has one Messic raised his sword against a fellow Messic to the death. Teric's thoughts betrayed the seriousness of the moment as he recalled his years among the Khanakhans. He recalled his immersion into the Messic arts, the hours, days, years of repetition and practice in which he excelled. His training had aided him during his tenure among the Legion Knights and had helped him to attain, the Legion Knight’s most coveted prize, the Silver sword for each of the three years he competed in the games. He wondered if his skills would aid him now, as he confronted a true Messic Lord. He tried to dismiss his frenzied thoughts, to concentrate in the moment, but his exhaustion fueled his lack of mental discipline. As he forced himself to focus on the man, he watched for any sign of weakness or for the slightest of movements around the girdle of his shoulder, which would signal an oncoming strike. Teric sensed Bothan’s intense focus, which he tried to match, watching for any weakness in the man. Bothan drew his sword from its scabbard, taking up what appeared to be a defensive stance. Teric responded by unsheathing his sword, matching the Mesic’s stance. Teric examined the grip the Mesic had on the hilt of his sword, and the angle of the blade. He noted the extension of the Mesic's arm as he held out his sword. Teric shifted his weight into balance and observed whether the bulk of the Mesic’s weight was on his right or left. He examined the direction and angle of the Mesic's foot. He then calculated the various moves possible for the Mesic from the position of his stance, and then, for each move, he devised a counter strike. Teric assumed that his opponent was immersed in the same mental calculation as he was. Teric took in a slow, deep breath. Jasen pushed the Satcha’s engines hard, taking advantage of the high wide-open air lanes of the Ugot Cavern to gain some distance from their pursuers. They passed over the distant lights of several Ugot cities below. The Ugot’s artificial light source mimicked the setting of Knome's mother star as they streaked through the night sky. Jasen let the ship’s AI system navigate them to the Bespin gate. Taking back control, he slowed the Satcha through the narrow entrance of Bespin tunnel. The Bespin Tunnel was not as tight or treacherous as the previous tunnels and it was evident that work had been done to make travel through the Bespin less dangerous. On noting the difference, Jasen increased the Satcha’s speed. The Satcha had gain enough distance from its pursuers that they were no longer in range of the Gnats laser cannons. Jasen continued to increase the Satcha’s speed while navigating the bends and turns of the tunnel. “Did we lose them,” Anya asked noting a pause in the bombardment. “The Bespin passage,” Anya replied. “Isn't that where your father promised us some assistance,” Kore interrupted. “We’re going to make it,” Wilhelm said as he reached for Anya’s hand. “We have to,” Anya replied as she grabbed Wilhelm’s outstretched hand. Wilhelm grasped her hand and leaned over to kiss it. “Your father promised us assistance at the Bespin passage, right?” Kore asked louder, wanting an answer to his question. “What kind of assistance,” Kore asked. “Do you have an aerial Navy,” Kore asked. “Yes, a modest one,” Anya replied. The Satcha slowed as it neared the entrance to the Bespin Passage. There was a moderate amount of traffic within the Passage as the Satcha entered, elevating to the high lane above the traffic. Emergency strobes were flashing within the Passage, alerting vehicles of danger. The Satcha’s comm crackled. Kore turned toward Anya, perplexed. Anya waved her hand, “Answer it,” she yelled. Anya released her harness, rose and took over the comm from Kore almost shoving him aside. “This is K2, go ahead”, Anya yelled. “They’ll be entering the passage soon, they’re right behind us. “Thank you, Arrow One.” Anya stood erect, “As fast as you can push her,” Anya called out as she made her way back to her seat. Jasen, did as requested. The pursuing Gnat fighters entered the Bespin Passage and were immediately bombarded with laser fire from seven ascending Kom Raiders. 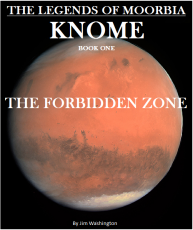 Kom Raiders were from Knome’s Royal Aerial Defense. They were slow, older refit aircraft purchased from a minor inner ring planetary government. They were mostly used as escorts for Knome’s Royal Fleet and were no match for modern aerial combat. Advancing on the unsuspecting Gnat fighters allowed the Koms to destroy two of the five pursuing fighters. However, with a quick spin the Gnats advanced upon the slower Kom Raiders. The seven large Kom Raiders were quickly at a disadvantage to the three quick and nimble fighters who buzzed around the Koms like insects. The aerial battle was not even a contest as the Gnats seemed to toy with the Koms, avoiding their lasers while slowly breaking down the shields of the Koms. In a flash only four Koms remained and they tried to retreat from the battle to the surface below. However as one of the Gnats broke off the attack and began to advance down the Bespin Passage in pursuit of the Satcha, the remaining two Gnats pursued the Koms until they were all destroyed. The Chakata Cavern entrance was now visible to the Satcha’s crew. The Satcha’s console began to flash and beep. “What is it,” Jasen asked. “Hostiles ahead,” Anya called, she again released her harness and rose as Wilhelm followed. “Scanners are reading a hostile formation ahead.” Anya yelled. Just as the Satcha entered the Chakata entrance they saw the seven Gnat fighters approaching. “How did they get ahead of us,” Wilhelm asked. “It doesn’t matter now, we’re in trouble,” Kore replied. Teric exhaled, relaxing his body into his stance. He struggled to quiet his racing mind and calm his blurred emotions as he tried sharpen his focus. Instead, at the moment, his greatest opponent was himself as images flooded his mind, fighting for survival. The images of his friends, of Khewin, Jasen, and Kore. Images of his mentor, Rom, and, the image of Shushan was so strong in his mind that he almost uttered her name. Teric closed his eyes and took in another deep breath trying to force the clarity he needed. He focused on his death, at the hands of this Mesic. He tried to quell the fear of it, if it came. The fear of loss would leave him vulnerable to taking some action in an attempt to save his life and thus bring to fruition the loss he feared. He needed the freedom to act, to risk, to win. He needed the fearlessness and the fierceness to summon and channel all his effort in one precise and decisive purpose. Bothan sensed the fear and conflict in the young man. He watched as Teric closed his eyes. Bothan suppressed the sense of loss that sparked within himself as he watched the young man fall in his mind's eye. It was a loss unlike that he felt for his Kossacks. The man before him seemed to be a fellow mesic, a countryman. He wondered if the man was a mesic in will and purpose. However, Bothan quickly disabused himself of such notions and suppressed those thoughts, for they could leave a vulnerability in his strategy. No, this young man must die. Teric opened his eyes, revealing the whiteness of his pupils, as a familiar surge flooded through his body. Bothan detected a change in the young man’s disposition, the conflict was gone, replaced with, resolve. Bothan was momentarily puzzled by the eyes of the man and yet he recognized it. This man was, a true Mesic. Bothan let that realization fuel his own resolve, and he began to advanced slowly, halting just outside of the striking range of his opponent. Bothan tilted his sword down at his side moving it slightly behind his left leg as he stepped out with his right foot, tightening his grip on the hilt of his sword. Teric mirrored Bothan’s stance, but then he lifted his sword high above his head. The Shock troops moved away from their position around the outpost station and advanced toward the combatants, stopping some distance behind Bothan with their weapons trained on Teric. They watched as the two men stood motionless like statues, with only their hair blowing in the wind. The eyes of Teric and Bothan were locked on each other, as they watched for the slightest indication in the other that would expose them to the Ankh Kudo. Beads of sweat began to form and gather on Teric’s brow. The sweat soon pooled and began to flow down his face and drip from his chin. Bothan observed the drips of sweat from Teric’s chin and noticed a slight variance in each drop. Teric was also aware of the drips of sweat from his chin that betrayed the slight movements in his body. He tried to compensate, but then he suddenly, noticed a slight movement in the cradle of the Mesic’s shoulder. “We’re not going to make it,” Kore lamented as the approaching Gnat fighters drew closer. “Hold on,” Jasen yelled as he pushed the Satcha’s engines to their capacity. Everyone was thrown back. Anya fell backward into Wilhelm who broke her fall as they both fell back into one of the passenger seats. “What are you doing,” Anya yelled as she fell back. “Divert everything we have left to our forward shields,” Jasen shouted. The Satcha sped ahead in the trajectory of two of the fast approaching Gnats. The two fighters quickly maneuvered out of the trajectory of the Satcha, barely avoiding a collision with it as the Gnats laser fire spit wide of their target. “Are you crazy,” Kore scolded as he obeyed Jasen’s directive. “They’re not trying to kill us, right?” Jasen answered, “They want to disable our ship, but they want us alive, at least they want them, alive,” Jasen gestured behind himself. “I hope that's true, but let’s try not to kill ourselves,” Kore replied still shaken from Jasen’s maneuver. As the Satcha sped ahead in the open Cavern, the Gnat’s managed to turn in pursuit of her. Still pushing at top speed, the Satcha began to put distance between it and her pursuers. However, the distance was not far enough to avoid the Gnat fighters’ cannons which they began to open up on the Satcha. The blasts began to cause damage to the ship as it was no longer fully protected by the ship’s shields. “Kore, can you divert any power back to the aft shields,” Jasen asked as they took a barrage of laser bolts. Alert and warning lights began flashing all over the cockpit. “Not without affecting life support, which we will need once we escape this rock,” Kore said alarmed. “We can’t take too many more hits like that,” Jasen warned. “Open the comm and send out a distress call,” Anya yelled as she locked her harness. As Kore began to comply, another barrage of laser fire hit the ship reaching the hull. An explosion outside the ship could be heard in the cockpit as a noticeable drag began to affect the Satcha. A siren blasted in the cockpit. “Are you sure they’re not trying to kill us,” Kore screamed. “Let’s go to Maessa, it’s just ahead,” Anya said. “It’s our principal city, the palace is in Maessa,” Anya replied. Just as Jasen began to make a course correction, the ships comm began to crackle. “K2, acknowledge,” came a voice across the comm. Kore leaned to open the comm. “K2, this is C squad, lead. We have you in range. I’m sending you coordinates. Please acknowledge. “There sending coordinates,” Kore asked unsure. “I got them.” Jasen replied. “K2, coordinates received,” Kore replied into the comm. “Execute those coordinates at my mark.” Came the voice. “What’s going on,” Wilhelm asked. “Mark,” came the voice over the comm. Jasen immediately engaged the navigations and the Satcha dived hard as everyone was jolted from their seats and restrained by their harnesses. There was an immediate burst of lights that zoomed past the descending ship. More than a dozen Kom fighters navigated around the Satcha to immediately engage with the Gnat fighters. As the Satcha past the Kom fighters, Jasen took over the navigation pulling up to level off the ship. Jasen pushed the remaining engines hard through the cavern. Half of the Kom fighters had already been destroyed as well as several of the Gnats. The battle high above Maessa was fierce as more Kom fighters joined in the battle. The overwhelming number of Kom fighters tipped the scales against the more advanced Gnats as their numbers began to fall. In the chaos of the battle one Gnat fighter managed to escape the battle and began pursuing the Satcha through the cavern. The attack was swift. Bothan was faster and more agile than Teric had calculated. As the Mesic’s blade penetrated Teric’s area of vulnerability, Teric abandoned his own plan of attack and resorted to a defensive stance anticipating the arc of the blade as it swung up from the Mesic’s left. Teric swung his blade in position to parry the incoming strike toward his left. He stepped into his counter swing with all his strength, with two hands on the hilt. Then he sensed an adjustment in the approaching blade. Teric took a quick glance toward his opponent and noticed the man’s left foot crossing over his right while he lunged forward dropping his blade so as to evade the parry that Teric was committed to. Teric’s parry would now strike the air just as the Mesic’s blade would slice under his left arm as he slipped by. Alarmed, Teric could only push against his own momentum backward in an attempt to avoid the Mesic’s blade. If he could gain enough distance in his leap backward, he could parry the Mesic’s blade upward just enough to spin his own blade cutting across the Mesic’s chest. The effort of both men went unfulfilled as they missed each other by a hairs width as each man nearly stumble from the power of their strike. The initial engagement did not result in the Anhk Kudo for either combatant. Almost immediately they turned and reengaged lunging forward locking blades with a clash. The reverberations from the clash of their swords pulsed through Teric’s injured hand and he tightened his grip on the hilt of his sword in an effort to nullify the pain and mask the effects from his opponent. Teric used his cross guard to lock the Mesic’s blade as he strained under the strength of the man. Feeling himself giving way under the power of the Mesic’s strength against him, Teric suddenly disengaged stepping back while spinning to his right as the momentum of the Mesic’s weight advanced past Teric exposing the man’s back. Teric quickly raised his sword for the kill strike, however his strike was quickly parried by the Mesic who swung his sword oddly to guard his back. The move caught Teric off guard. Bothan pivoted into a spin and struck Teric’s sword downward. As Teric tried to bring his sword back up, it met Bothan’s blade. Aghast at his vulnerable position, he leaned backward as far as he could, his head nearly touching the ground as Bothan reversed the direction of his sword anticipating Teric’s rise. As he leaned back, he brought up his sword which met Bothan’s with a clash. Teric flipped backward and maneuvered out of Bothan’s range. However, Bothan advanced in a blinding flash, slashing and trying to keep Teric on the defensive and preventing him from escaping out of his vulnerable position. Every strike Bothan attempted either missed or was parried as Teric continued to flip away. Teric stopped near a cliff edge almost falling over and while he attempted to braced himself and parry the incoming strike, he was a fraction too late as Bothan’s blade struck him hard against his ribs. Teric felt bone give way and he screamed in pain. Teric managed to push against the paralyzing pain and maintain his consciousness as he stood erect with his blade wavering out in front of him. He reached for his left side and felt the warm ooze escaping from his wound through his ruptured membrane armor. He gripped the hilt of his sword with both hands. It was over. Yet Bothan, halted. He watched the weakened unsteady young man, the blood escaping from the wound on his side, the sword wavering in his bloody hands. While there was still breath in him, Bothan wanted to know. “Who are you,” Bothan asked as he paused noting the blood pooling at the young man’s foot. Teric said nothing as he tried to get a tighter grip on his blade, being prevented from doing so because of his blood caked hands. Teric began to calculate his options. He looked briefly over the cliff that stood so high above the waters below and he concluded that jumping was not an option. “Are you a Mesic?” Bothan asked reluctantly. Teric did not answer, his mind was racing as he observed the shock troops advancing to positions behind Bothan. Bothan abandoned the effort to elicit information from Teric. He tightened his grip on his sword preparing for the kill strike, and he began to slowly advanced, his sword hanging low at his right. Teric had nowhere to go. He again looked over the cliff. He then closed his eyes for what felt like a lifetime and then opened them as the realization of the nearness of his own death, came to him. "Let it come," he barely uttered under his breath. He then crouched down into a defensive stand against the advancing Mesic. The Satcha’s remaining engines were straining at full capacity. The loss of power from the failed engine made the steering of the ship more difficult. The vibrations and turbulence affecting the ship began to wreak havoc on the ship’s stability and was having a debilitating effect on its occupants. Just at that moment there was a loud metal on metal screech accompanied by flashing lights on the console. The ship began flying erratically as Jasen fought to stabilize the ship. “What was that,” Wilhelm called out. “I don’t know but I think the princess is right.” Jasen began to pull back on the engines. Kore attempted to resolve the flashing lights on the console without resolution. Anya peered out the side window at the light of Maessa below. She shuddered, remembering the lifeless body of her sister. She silently wished she could go back and change her relationship with Korah. “Are you alright,” Wilhelm asked as he gently touched her shoulder. Anya turned towards him her eyes misty with tears. “My sister,” was all she could say. Wilhelm reached for her caressing her face, thumbing an overflowing tear from her eye. “What’s damaged,” Anya asked shaking off her sadness. “It’s the blown engine, its pulling against the hull,” Kore replied. “Can we do anything about it,” Wilhelm asked. The ship shuddered and bucked under the impact of a barrage of laserfire from the pursuing Gnat fighter that had managed to reach the Satcha. Everyone in the cockpit jumped at the impact. “They caught us,” Kore lamented. “It’s just one,” Jasen replied after taking a quick glance at the scanner. The Gnat fighter was barely in range of the Satcha, its lasers reaching the ship but causing little damage. Fear clenched Kore's gut as he observed the Gnat on the ship's scanner closing in. “Where’s the entrance,” Kore called out in frustration. “We should be seeing the guidance lights about now,” Anya replied pointing out the viewport from her seat. Kore strained to look ahead but could not discern the lights that Anya was speaking about. Anya continued to look down out of the window upon the lights of the city below. The Satcha was too high to recognize any structure of the city but Anya longed to be back at the palace with her mother and father. “I see them,” Kore shouted, pulling Anya out of her ruminations. She looked up and ahead, “Yes, those are the corridor guidance lights,” Anya replied. “We’re going to make it,” Wilhelm said as he grasped Anya’s hand. A loud and thunderous blast shook the ship as well as the crew’s optimism. The dead engine ripped away from the structure of the ship. The Satcha was pulled off balance and spun downward in a half spiral before Jasen managed to gain control over the ship. He flipped a few switches to engage the navigation system to aid in control of the ship. He then watched the console and noticed that the ship was slowing down. No one answered as they were still recovering from the jolt while warning lights began flashing along with multiple steady beeps. Kore tried to manage the chaos on the console. “We’re losing speed,” Jasen again shouted with more frustration. He looked over the ship’s system trying to discover the problem. Anya screamed as the next barrage of laser fire hit the Satcha. The lights and sirens that Kore had manage to silence began anew. The corridor entrance was now clearly in view. Jasen pushed hard on the control trying to will the Satcha to accelerate. Wilhelm released his harness and walked over to Anya, kneeling before her. He placed his hands on her face and drew her towards him and kissed her deeply. Anya was startled and a little put off by Wilhelm's action with the ship under fire. Wilhelm again took her face. “Anya, I’m not sure we’re going to make it. If I’m going to die right now, I want to remember how you feel, how you taste.” A tear fell from his eye prompting Anya to grasp his face and she kissed him deeply. They kissed and held on to each other through the turbulence. As the Satcha neared the Chakata corridor entrance, the Gnat fighter was now meters away and it began to spit an array of lasers at the Satcha’s starboard engine. The barrage banked the Satcha off course toward the gate structure. Jasen strained the controls to avoid the collusion. Wilhelm helped Anya out her harness and they stood, embracing each other as they watched out of the view port. The Satcha managed to clear the gate but scraped the edge as it sped through the entrance. The pursuing Gnat fighter anticipating the Satcha’s maneuver had positioned itself for a clear shot at the ship’s starboard engine. Jasen noticed the incoming Gnat and he immediately killed the engines and pushed the nose downward. The abrupt drop of the Satcha caused everyone in the cockpit to rise uncontrollably in the sudden induced zero gravity. The Gnat’s barrage of laser bolts missed the Satcha and hit the wall of the corridor. Jasen quickly reengaged the engines pushing them to full power as he pulled up on the yoke causing the ship to climb as suddenly as it dived, now, inducing g-forces on the cockpit occupants until Jasen leveled out the ship. Caught off guard by the Satcha’s maneuver the Gnat had to divert its trajectory to avoid crashing into the Satcha, making a long hard U-turn, but, by the time it was back on course the Satcha had gained enough distance to be out of range of the Gnat’s laser cannons. “Your right,” Anya said as she engaged her harness. “Right about what?” Wilhelm replied. Jasen’s hope as thin as it was, began to disintegrate even further when he noticed an additional formation of blips on the scanner. “We’ve got more of them coming,” Jasen broke the news. Kore leaned over to take a look at the scanner. “Can we out run them,” Kore asked. “I can’t take this,” Kore screamed. The lone Gnat fighter again came into range of the Satcha and began firing its cannons, several bolts hitting the ship. The corridor’s exit was now in view as daylight shown through. “We’re so close,” Wilhelm said. Jasen tried to increase power to the remaining engines without success. “We’re not going to make it,” Kore said as more bolts from the Gnat rocked the ship. Jasen glanced at the scanner noticing that the additional formation of ships would soon be in range. The Gnat fighter was now close enough to deliver a final shot to the Satcha. It began to spit a barrage of laser bolts, hitting the Satcha causing explosions along the hull. Then there was a huge explosion to the rear of the Satcha. The Satcha’s comm crackled with audio. “K2, this is C squad, acknowledge,” came a voice over the calm. Stunned faces met one another with joy and surprise. “Respond,” Jasen called out to Kore. “This is K2, acknowledging.” Kore called out. There were screams of joy throughout the cockpit. “Thank you,” Kore replied, barely able to contain his joy. There was jubilation in the cockpit as it exited the Chakata corridor and into the Knomen atmosphere. The ship rose higher and higher until it became a speck in the sky above. Teric’s blade slipped repeatedly from his bloody grip as he adjusted his posture in an unconscious effort to relieve the pain in his side. Fatigue flooded through every vein and muscle in his body adding to his growing mental anxiety. He was finding it difficult to control his transitory thoughts, as they were working against his efforts to focus, to calculate a defensive strategy against the clear danger before him. The image of Shushan fought for the last space in his supraliminal consciousness as the sliver of a diminutive hope drained from his mind. The color drained from his face as the blood continued to drain from the wound on his side. He felt despondent. Bothan watched the pitiful site before him with a sense of benign revulsion. He sensed great skill and power in the man, a fellow mesic. He had been trained in the Mesic arts, he was sure of that. Like himself, the man was host to the serum, as he had observed in the milky mixture in his blood, and in the streaks of white under his eyes. He also looked upon Teric's sword which appeared to be as ordinary as any other sword. But he recalled the carnage in the halls of the base, and the strange reports regarding the power inherit in that sword. Bothan felt the smallest of regrets that, he, would have to end this man, without answers to the intriguing questions that lingered in his mind. However, Bothan did not alter his resolve, nor his stance, nor his recoil, before delivering the kill strike. Teric, strained to lift his sword. He blinked rapidly in an effort to focus on his opponent. The tip of his blade wavered in the air, but not due to the strong winds blowing atop Thaingor peak. Teric struggled under the weight of his sword while wrestling with his grip on the hilt. "What are you waiting for," Teric yelled while taking a step forward. He wanted to get it over with, to end the dread inundating his senses. But Bothan held fast. He was increasingly feeling disgust in the contest which was clearly at the moment no contest at all. The young man was vulnerable to his strike in any number of areas and at any time he chose to deliver it. Teric offered no real defense nor a counter position. It was as if he wanted to be slaughtered. Still Bothan remained cautious remembering the carnage in the halls. Bothan said nothing in reply to the man's outburst but he held fast, waiting on the young man's consequential move. The shock troops inched closer with Teric in the cross hairs of their weapons, their triggers set a breath away from slaughtering the weakened warrior. Teric made his move, he lunged forward from his defensive stance with a scream using all the strength and energy he had left. He lowered the tip of his blade, aimed for the chest of his opponent, who did not flinch. Out of Bothan’s reach Teric lunged a second time. The Mesic’s parry met Teric sword with a clang so hard that Teric momentarily lost his grip on the hilt as it escaped his hands. Panicked, he stretched out and grasped the hilt of the sword before it left his reach and just in time to parry Bothan's counter strike. The clash of the blade, and the power behind it seemed to lift Teric in the air. He managed to gain his footing and balance before nearly falling over the cliff. Then suddenly, the ground shook violently under him throwing everyone off balance as they all grasped in vain for something to steady themselves. The outpost station exploded in a super-heated ball of flame, debris and smoke. Everyone turned in the direction of the explosion except Teric. Still shaking under the quake, Teric turned, looking over the cliff. Bothan, sensing movement from the young man, turned swinging his blade with perfect precision despite the quake. Teric spun swinging his blade wildly as they clashed with such a loud clang that the shock troops turned back around to face Teric, weapons at the ready. Teric screamed as his sword leapt from his grip into the air. The pain through his hand and arm was so great he wondered if his arm had been severed. As his sword soared high out of his reach and over his head, he leapt for it. His leap took him over the cliff, but still the blade was out of his reach and was plummeting to the river below. Bothan called out to his troops who responded by firing a barrage of laser bolts toward Teric. The impact of the bolts on Teric caused his body to convulse as he fell. Bothan ran to the cliff's edge to watch the sword fall and impact into the water below. The shock troops did not cease in their attack upon Teric as they walked to the edge of the cliff, their triggers set to spit out a stream of bolts, impacting the motionless body of Teric as he violently hit the water below. He sunk deep into the lake from the momentum of his fall. Bothan and his troops watched from above for the body of the young man to reemerge from the deep. As they watched for Teric, the outpost station was consumed in the growing conflagration that engulfed it from below the surface. They continued to watch for some time but Teric's body never emerged, nor had his sword. The violent waves and ripples on the water had now returned to their normally calm and glassy state, shielding the world below by reflecting the world above upon its shimmering surface. Time for the long tasks of proof reads and rewrites.